There are over 20,000 archived stories on Card Player, many of which feature invaluable information on poker strategy from the best minds in the game. 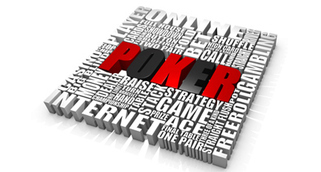 With the Poker Strategy game and concept search, Card Player readers can instantly be shown hundreds of articles on specific topics such as Bet Sizing, Board Texture, Hand Selection, Psychology and many more, for a number of games including hold’em, Omaha, stud and other mixed variations. Each week, we’ll pull a few of our favorites from the archives, giving you a look at what can be discovered using this resource. If advanced concepts are over your head, or if you are just looking for a nice refresher course on the basics, head on over to the Card Player Poker School to earn your poker diploma. The program is free for Card Player readers. Enroll today!